If you can imagine a world in which all the pigs of the world somehow accumulated all global wealth then you will love this game? 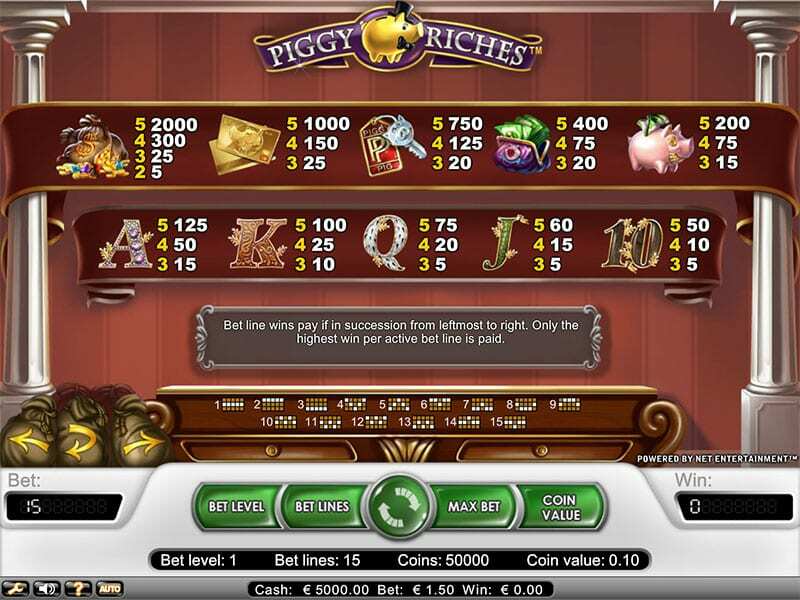 Piggy Riches gives you the opportunity to multiply your win up to 18 times and features a range of pig-themed symbols and wilds just waiting to be found. Check out new slots online such as this. Oink Oink! What a great theme from Net Entertainment, this slots game has taken a lot of effort to develop, but has certainly been worthwhile, providing as it does, a tremendously fun and engaging slot games experience. 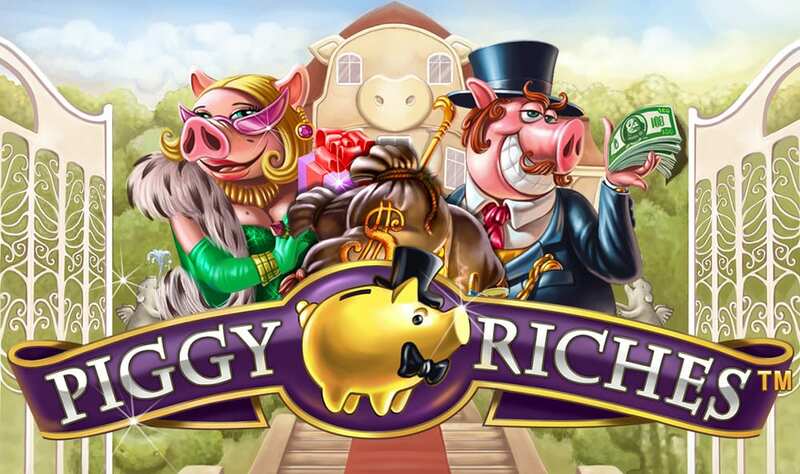 Piggy Riches is a game in which you follow the adventures of some very wealthy pigs, whose aim is to add to their considerable fortune. This is great and fun to play some of the best slot games everwith some great content and bonus features. 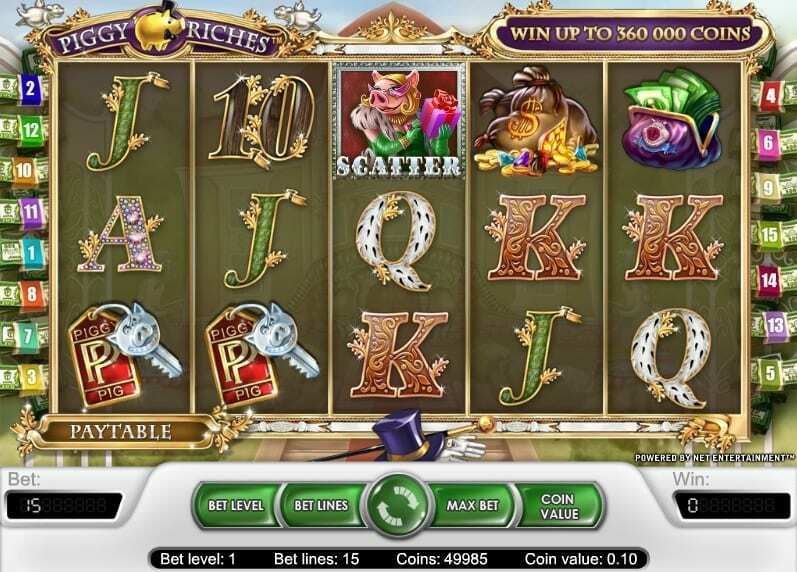 Piggy Riches has been developed by the team at Net Entertainment. The gang at Net Entertainment have a reputation for delivering engaging and immersive slots games, with their usual strengths in-game narration and excellent graphics. This is a game that will keep you enthralled and has a high-quality feel, so they definitely have another winner on their hands with this one. You can discover more about the range of NetEnt games here. There’s a reason that this is one of the developers best slot games, despite the slightly older format of five reel and a fifteen pay lines, it’s still tremendous fun to play and the gaming experience is second to none. The Piggy theme is prevalent throughout the game with all the porcine characters dressed up to the nines in their finest attire, some of which looks slightly ridiculous, but is fun to look at and play nonetheless. There is a very wide range of betting options in this game, some of the best we’ve seen, ranging from just 1 pence all the way up to an astounding £300 bet. There’s, therefore, more than enough range for any player, of any budget to have their gaming desires met and for them to be playing at a suitable level, and we think this flexibility is one of the reasons this slots game is so popular. The great content and theme are also supported by some amazing bonus features to really bring a new dimension to the gameplay. Our favourite Pig character in the Top Hat represents the Wild symbol, and he substitutes for most of the other symbols in the game, maximising the number of winning combinations for the player. The Miss Piggy character represents the scatter symbols and she will engage the free spins to feature if you can land her 3, 4 or even 5 times anywhere on the reel. This then gives you the option of winning the free spins by clicking the free spins button which in turn activates the mini-game, something that has proven very popular with players everywhere. The other main bonus feature is the Piggy Wilds feature. 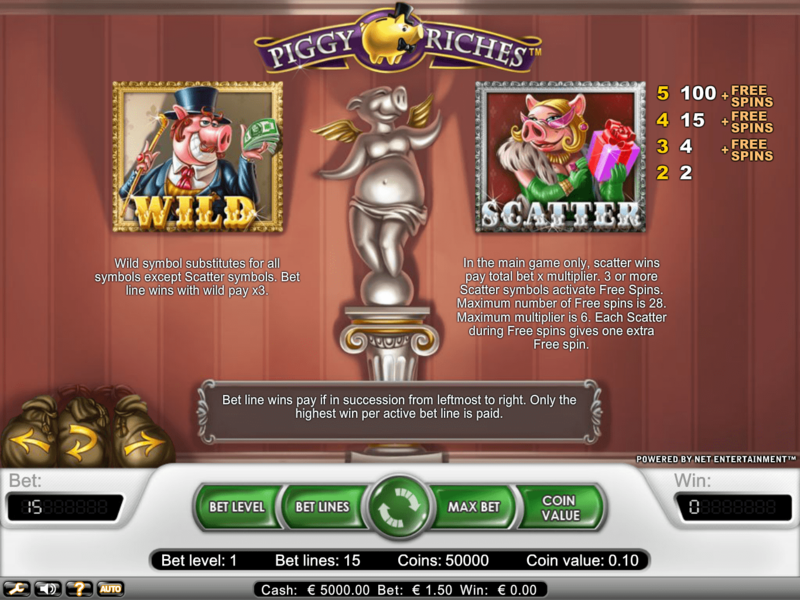 So if you can get a winning combo on the base part of the game with the Posh Pig wild symbol, then you will be the lucky recipient of a multiplier for your bet, something that rounds out the feature set very nicely.